We’d love your help. Let us know what’s wrong with this preview of Günden Kalanlar by Kazuo Ishiguro. To ask other readers questions about Günden Kalanlar, please sign up. What is the significance of the country doctor who gives Stevens a ride back to his out-of-gas Ford after an unplanned overnight stay in an out-of-the-way town? Before they part, this doctor questions Stevens if he might be a "man servant", which should be considered an insult to Stevens (butlers do not think of themselves as servants). Michiel I asked myself this same question during reading. Although Miss Kenton was definitely one to appreciate the professionalism and quality with which Mr.…moreI asked myself this same question during reading. Although Miss Kenton was definitely one to appreciate the professionalism and quality with which Mr. Stevens conducted his work, that in itself does not seem enough to fall in love with him. Especially considering the inconsiderate and sometimes unpleasant way in which Mr. Stevens treated her. However, I also believe that Mr. Stevens does not give a good portrayal of their relationship. Mr. Stevens' recollections mainly focus on their disagreements and how they grew apart. We are never shown the amiable nature or pleasant convsersation the two may have had during their daily parlor meetings. 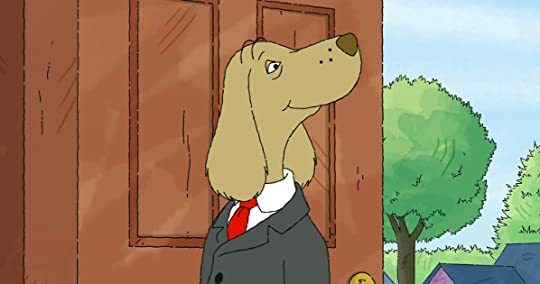 I am convinced that Miss Kenton and Mr. Stevens actually shared some connection during these meetings (even though Mr. Stevens will undoubtedly have remained very professional during them). Miss Kenton could probably see the man behind the butler in those instances, allowing her to fall in love with him. However, since Mr. Stevens does not consider such social interaction between them to bear any significance or relevance, he does not tell us anything about it. Also, Mr. Stevens is a reasonable accurate narrator when it comes to describing what words were being said during a conversation. However, he is rather bad at conveying what emotions he himself showed during such conversations. There are a few instances in the novel where the people around Mr. Stevens explicitly comment on the emotional way in which he is behaving (such as the tears in his eyes when his father died or the way he storms through the halls when he hears Miss Kenton is leaving), while Mr. Stevens himself does not mention a word of such emotions. This leads me to believe that his attitude towards Miss Kenton would often be a lot more positive than what we can construe from his words. Not until the very last chapter, we know Mr. Stevens actually cares for or even has feelings for Miss Kenton. When Miss Kenton mentions that she could imagine a different outcome with them being together, he shortly mentions to us readers that his heart broke at that instance. Kazuo Ishiguro writes the anti-haiku: instead of consciousness awakening to the immediacy of the immutable natural world, subjective memory is peeled back layer by layer to expose consciousness; instead of the joyous eruption of awareness, the tension of the gradual decompression of ignorance; instead of a humility that acknowledges the unknowable on its own terms, rambling that tries to fill the chasm of existential angst that has suddenly opened up like a sinkhole in being. Yet what his writin Kazuo Ishiguro writes the anti-haiku: instead of consciousness awakening to the immediacy of the immutable natural world, subjective memory is peeled back layer by layer to expose consciousness; instead of the joyous eruption of awareness, the tension of the gradual decompression of ignorance; instead of a humility that acknowledges the unknowable on its own terms, rambling that tries to fill the chasm of existential angst that has suddenly opened up like a sinkhole in being. Yet what his writing shares with the haiku is the bringing about of enlightenment -- it arrives, tarnished and the worse for wear, in the end. Stevens, a butler, has spent his life defining himself by his occupation. However, after having spent his best years in the service of the Nazi-sympathizing British aristocrat Lord Darlington, he necessarily grows introspective. When his new employer -- a wealthy American that is himself a signifier of the changed order of postwar Europe -- urges him to take a brief vacation, Stevens is forced to face the consequences of his life's decisions. Every day, for the past week I've encouraged myself to start writing this review. It feelt impossible to find my words to discuss such a literary masterpiece. Who gives me the right to even try? After staring blankly at the screen for some time, I finally remembered a beautiful passage that can perfectly describe what I felt about this novel. So, I will let the author describe his work. Although the quote depicts the magnifice Just announced as Winner of the Nobel Prize 2017!!! Well deserved. After staring blankly at the screen for some time, I finally remembered a beautiful passage that can perfectly describe what I felt about this novel. So, I will let the author describe his work. Although the quote depicts the magnificent English countryside It can be applied to the novel as well. I believe that a restrained beauty is what characterizes The Remains of the Day and the voice of its main character, Stevens. As it was also the case in Never let me Go, the message is hidden in the beautiful pages, only suggested, it comes to the reader in the form of a knot in the stomach or throat and the feelings linger for many days while one ponders on the meaning of his/her life. Williams Stevens is a one of the few remaining “great”, devoted butlers, employed most of his life at Darlington Hall in the service of Lord Darlington. After the war and the death of its owner the manor changes its ownership but the reduced staff remains with the new employer, an American known as Mr. Farraday. When the new owner returns to the States for a few weeks he proposes to Stevens to borrow his car and enjoy a drive in the countryside. Although reluctant at first, the butler decides to take on the offer after he receives a letter from a former housekeeper of the Hall, Miss Kenton to who it seems that he holds some affection. He decides to visit her in order to suggest to return to work at the Hall. The trip becomes the perfect occasion for revisiting the most important moments of Stevens past and to meditate on how his loyalty to his master and his decisions/or lack of, made him lose certain opportunities to have a fulfilled emotional life. The language used by the author is beautiful, exquisite. It is the voice of the butler who writes in the restrained, formal manner suitable for his job. The effect is mesmerizing, sometimes comical and other times heartbreaking in Steven’s incapacity to shed his role even for a second and live for himself. It's not what happens in this story that's important, it's what doesn't happen. It's not what is said, but what is not said. I almost feel like Stevens in a real person and not a fictional character. He may well be the most tragic figure I've had the honor to meet/read. He tried so hard to do what he thought to be the right thing and in the end it all turned out to the wrong thing...I cried for at least a half hour after I finished the final page. It was a bittersweet moment when he admitted to h It's not what happens in this story that's important, it's what doesn't happen. It's not what is said, but what is not said. I almost feel like Stevens in a real person and not a fictional character. He may well be the most tragic figure I've had the honor to meet/read. He tried so hard to do what he thought to be the right thing and in the end it all turned out to the wrong thing...I cried for at least a half hour after I finished the final page. It was a bittersweet moment when he admitted to his heart breaking...I hurt so badly for him but for the first time he acknowledge his emotions and so I was happy for me. This story reminds me of why it is important to LIVE your life. I do hope Stevens uses the remains of his day to learn to banter and create friendships for himself. I think perhaps he will. Ishiguro is good, and this book is very good. It totally deserved the man booker prize, but did Ishiguro really deserve the noble prize for literature? Food for thought. This was phenomenal. Ishiguro has such a developed way of exploring consciousness, the power of repression, self-serving denial and the destructive consequences of regret. The narrator of this is a stiffly rigid and rather dry old butler. He has given everything over to his profession; he has left little room for his own personality to develop. The character(s) he emulates are a mere representation of his employer’s needs; he behaves in a way that he thinks they wish him to: he creates a persona to suit each one. So, there is very little left of the individual left on the surface. He is simply is professional butler modelled round his current employers own characteristics. What he so desperately needed was an awakening: he so desperately needed to come out of himself and remember exactly who he is under the false layers of pomp and sophisticated etiquette. But, that would be impossible in its entirety. It takes Stevenson a long time even remember who he is. He goes on a journey of remembrances, and through this he eventually sees the parallels between his own fate and that of his father’s; he realises that he, too, is getting too old for his job. But, he must delve even deeper into the past to fully remember himself. He must see deeper into the regretful decisions he has made, though he can never fully acknowledge such regret because to do so would be to destroy himself, rendering an entire life meaningless, worthless and wasted. He has spent his entire professional life behind a mask. He has no real friends, and his relationship with his farther is strained, to say the least. There are a few moments when the veil slips; however, they are not really visible to other characters. I think at times, this has gone so far that, Stevenson actually forgets who he is. The mask takes over and controls his behaviour; there is little room for sentiment or friendship: it pushes people away with its austere act of singular professionalism. Unfortunately for Stevens he continues to wear this mask. It’s led to all of these bad feelings, and a life of servitude. Indeed, he becomes like his farther. He is stuck in this perpetual state. His brief holiday sends all his memories crashing back; he sees the different paths he could have taken had he been more open to his own desires. There are degrees of regret within his story, but he cannot full let go; he cannot fully admit that he wishes he had lived his own life. He has gone too far to simply change his ways. If he changed now, his life would have been a waste. He must continue on this road, one that will not allow him to enjoy the remains of his days. This is a sad novel; it depicts a character that is so unbelievably stubborn that he prevents himself from receiving any regeneration or redemption. He cannot change, and this is his doom. He is frustrating and stoic. He is a nonchalant man who simply refuses to acknowledge his own feelings. As a character he is superbly written, but on an individual level I found him somewhat pitiable. This is part of the wonder of the story, though. Stevens is his role; he will never transgress it. I just felt so sorry for him because he really has had a wasted life; yes, he has had a successful career; yes, he has met some prestigious political figures and foreign dignitaries; yes, he believes he is accomplished and successful, but, at the route of things, he is undeniably woeful and lonely. These are simply the excuses he tells himself. He has missed out on friendship and love: he has only experienced solitude and isolation. I suppose what one really needs at the end of it all, in the twilight of life, is to know that it was worth something, that there was some meaning, some purpose to it. Because if it was all in vain, why even try? 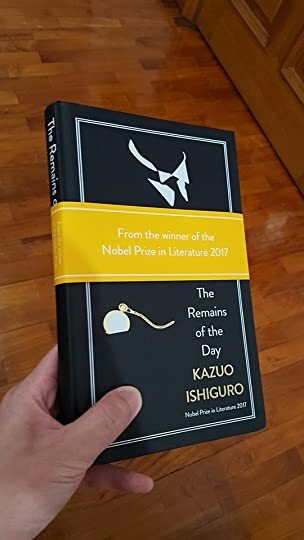 With The Remains of the Day Kazuo Ishiguro created a masterpiece, mesmerizing, evocative, subtle, elegant and perfectly crafted, with precise mastery of language, setting and characters. At its heart, it's a story of searching for something irrevocably lost in life, a story of memory and its elusive unreliability. It's beautiful and haunting, with initial rose-tinged glow of nostalgia slowly and subtly morphing into quiet gentle regret, managing to coexist with dry humor and bits of satire. It's a book of uncommon quality, one that's impossible to forget, one that deserves every ounce of praise that's it's been showered with. What is dignity? What is greatness? How do you define your purpose? These are questions Stevens - a quintessential English butler at the twilight of his life not surprisingly coinciding with the twilight of the British Empire - ponders during his drive through the countryside in the search of an old friend, a former housekeeper who, Stevens thinks, would make a great addition to the dwindled staff of a once-great manor now owned by a rich American after the death of its former aristocratic owner, the Lord in whose employ Stevens had faithfully spent several decades. To Stevens, the answers are initially clear - the purpose and satisfaction, the all-elusive dignity itself lies in the unquestionable loyalty and devotion to the great ones of this world, by association with whom you matter, too. But as the miles roll by, the pull of Darlington Hall seems to lessen and bit by bit, flashback by flashback in a surprisingly formal stream of consciousness the glimpses of the truth begin to appear, and how unsettling they are! Bit by bit, mostly not through what he tells us but instead precisely through what he does not tell we come to see that poor Stevens is perhaps the most unreliable narrator there ever was. Starting from a formal, stiff but still confident narration at the beginning of Stevens' journey, we end up eventually on a bench on a pier, glimpsing into his very private pain and heartbreak as he contemplates the remains of his life at the titular remains of the day. Bit by bit, through at times reluctant, limited and yet unfailingly honest narration we get to experience the story of a man who put loyalty and faithful service above all, pursuing the coveted dignity, clinging to the well-defined class roles and rigid expectations, denying his own self in attempts to live up to the duty, the quintessential Englishness that already in his time is becoming obsolete. Stevens, the most unreliable narrator, manages to show us so much more precisely through the things that he fails to tell the reader. It's what's left unsaid that paints the real picture - the disappointments, the loss, the lonely empty existence intentionally devoid of love and warmth. Stevens in his earnest devotion remains loyal to the memory of Lord Darlington, never fully admitting that the man he had spent his life serving and admiring was in fact not so great. And how can he? After all, he has based his entire self-worth, his entire sense of being on devotedly serving a supposedly great and noble man, feeling that in some little way he, Stevens, had something to do with shaping the fate of the world. Openly admitting that Lord Darlington's made huge mistakes would shatter Stevens' entire self, making everything useless - missing his father's death, going along with bigotry and prejudice, and giving up a chance at love, warmth and human companionship. In My Top 3 of All Time. It is Most Profound in So Many Ways. And ever must if torn from thee. It is nearly impossible to describe this novel without at least alluding (as I do) to what is the most heartbreaking scene of all the literature I have read. Ishig In My Top 3 of All Time. It is Most Profound in So Many Ways. Ishiguro's novel whisks the human memory - its capacity, reliability, fallibility and combustibility. 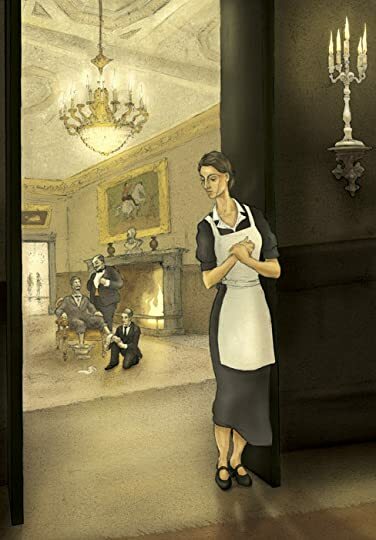 As the story moves forward, he drops clues to the murkiness of the manservant narrator Stevens' recollections of decades in service at Darlington Hall and his relationship with the head maid, Ms. Kenton. Ishiguro writes in wispy cirrus that veil memories which progressively trough into colossal cumulus columns looming in darkness ready in a flash to thunderbolt the human heart. What more could one ask of a piece of literature than the opportunity for enlightenment and this moral that we should wake up, listen to the heart and, by all means, follow it. Today (or as soon as practicably possible). Kazuo Ishiguro just won the Nobel Prize for Literature this year and this book supports that achievement. The Remains of the Day is a wonderful book to close my reading year in 2017. This book was first published in 1989 and since then, there have been countless professional reviews on it that everything I said here—although they are my honest opinion—would most likely be just something similar to any of those reviews. That’s why I’ll keep this brief; The Remains of the Day is a thoroughly beautiful book. This is my first time reading Ishiguro’s book and it certainly won’t be the last. I bought The Remains of the Day on a whim a few days ago when I was on vacation in Bangkok. There, I visited Kinokuniya bookstore and I saw this gorgeous looking Kinokuniya exclusive commemorative edition of this book. With absolutely no knowledge on what this book was about, I was left very satisfied with my purchase by the end of my read. Most of the story in this book revolves around Stevens—a gentleman and highly professional butler—who went on a six days’ vacation and during his vacation, we get to see his past. This is truly a beautiful book about regret, dignity, repression, decisions, acceptance, and most of all, memories. There are a lot of messages that can be taken from this book but in my opinion, the most dominant one is to never dwell on the past. Highly atmospheric, combined with Ishiguro’s incredible prose that gives hidden beauty and messages within each word and paragraphs, The Remains of the Day compelled me to read the book within two sittings. It’s that good. Ishiguro’s prose here is truly a delight to read, it’s evocative, beautiful, and inspirational. If I was reading this back when I was maybe 15 years old, this book probably wouldn’t have that much impact simply because there weren’t enough monumental turning points to ponder yet. But reading this now, there are tons of passages I can relate to. It all comes down to this: we can’t ever turn back the clock, cherish every moment. “But what is the sense in forever speculating what might have happened had such and such a moment turned out differently? One could presumably drive oneself to distraction in this way. In any case, while it is all very well to talk of 'turning points', one can surely only recognize such moments in retrospect. I heard from plenty of readers that this is Kazuo’s best work and I can certainly vouch for the praises. This book is a piece of literature that came out of nowhere into my life and somehow, ended up becoming a book that I know I will always remember. I bought this novel in tandem with Never Let Me Go, a book that proved to be so tedious I abandoned it, preferring to watch paint dry. Nevertheless, I was prepared to give Ishiguro the benefit of the doubt, wipe the slate clean and start afresh. The story is told from the POV of Mr Stevens, English butler to Mr Farraday, his nouveau riche American master: I invite you to imagine Mr Stevens to be an amalga "When work is a pleasure, life is a joy! When work is a duty, life is slavery." The story is told from the POV of Mr Stevens, English butler to Mr Farraday, his nouveau riche American master: I invite you to imagine Mr Stevens to be an amalgam of Wodehouse's Jeeves, and Star Trek's Mr Spock. This might just be one of those very rare occasions where seeing the movie first actually enhances the reading experience. Having already viewed it on the big screen, I could easily imagine Sir Anthony Hopkins's narration, almost as if this were an audiobook. To his credit, Ishiguro perfectly captures the stiff-upper-lipped dialogue expected of an English country house butler. Here, the author takes Wodehouse's cartoonish idea and gives it a harsh reality check. Stevens' adorned, almost pompous elocution is on point, but I half expected the Anthony Hopkins in my head to begin shouting, "Mr Christian! Damn your hide, sir! I shall eat your liver with some fava beans and a nice Chianti!" Stevens obsequiously knows his place and has such a blinkered sense of duty that the reader is left with an uncontrollable urge to step into the story and shake him about by his stuffy starched collar. For me, the most interesting side to his character is that he doesn't bear any snobbishness towards his 'new money' employer, and treats him just the same as he would a lord or a prince. Amusingly, he is maladaptively unaccustomed to banter or tomfoolery, unlike his jovial boss. However, in this respect he is very much like Sheldon from The Big Bang Theory and so (guilelessly) has a bash at banter, whereupon awkward silences and a scurry of tumbleweed ensues. Stevens is deserving of our pity; love is resolutely not on his radar and a visit by interested housekeeper, Miss Kenton, to his pantry with a vase of cheery flowers, causes his dangly bits to retract into his sexless body. "Mr Stevens happened to encounter Miss Kenton in the back corridor." "Utter filth!" I cried, and begin to thrash myself with birch twigs, before realising that I'd allowed my imagination to run away with me, yet again (sigh). Unfortunately, Mr Stevens is the architect of his own downfall, his dogmatic restraint inevitably causing him to miss out on life, and love. Although I doubt I shall ever be a true Ishiguro fan, he has redeemed himself with this body of work, and there is a telling poignancy to the reflective ending, which prompted me to bump my score up to a respectful five stars. ***** "I say, sir! Most becoming!" **** "Most generous, sir. I shall pass on your kind comments to the staff." *** "May I suggest an alternative, Sir?" ** "Oh dear! Will that be all, sir?" The book „Was vom Tag übrig blieb” written by kazuo Ishiguro is about the duties and the value system of the butlers profession in a past era. This roman is written in a beautiful language which shows the perspectives of butlers responsibilities in former times. It includes themes like European history, politics and social structures in the 20th century, self-deception, lost love and the human dignity. Kazuo Ishiguro gives the protagonist Stevens a virtuously formulated narrative voice which repr The book „Was vom Tag übrig blieb” written by kazuo Ishiguro is about the duties and the value system of the butlers profession in a past era. This roman is written in a beautiful language which shows the perspectives of butler´s responsibilities in former times. It includes themes like European history, politics and social structures in the 20th century, self-deception, lost love and the human dignity. Kazuo Ishiguro gives the protagonist Stevens a virtuously formulated narrative voice which represents the duty and the self-denial of the protagonist perfectly. Moreover my personal opinion is that the protagonist Mr. Stevens seems to be very cold and unemotional. But on the other side he appears very graceful. Even though this roman has no relevant actions or an exciting storyline, it`s one of those books which touches your heart and you can`t stop thinking and reading about it. In addition the author creates a beautiful tension even though the time after World War Two was different and very hard to progress. However as the author manages to turn the cliché of a butler into a living protagonist is masterful. On the other hand the constant repetition of the word “töricht” throughout the whole book irritates me. Mood, atmosphere, character. Encapsulation of the zeitgeist, social commentary; "The Remains of the Day" delves into the dark side of humanity. So much is held within the pages of this marvelous book, the account of one of the last butlers to work at a large manor in England. What is Dignity? seems to be the major thread that unites all of his different experiences of becoming a largely marginalized person, of becoming someone with a worth different from others. The love story is heart wrenching Mood, atmosphere, character. Encapsulation of the zeitgeist, social commentary; "The Remains of the Day" delves into the dark side of humanity. 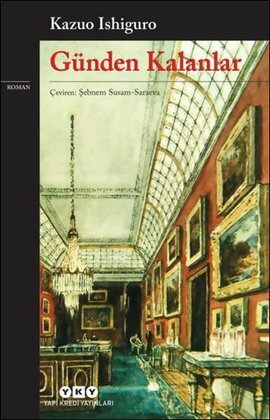 So much is held within the pages of this marvelous book, the account of one of the last butlers to work at a large manor in England. What is Dignity? seems to be the major thread that unites all of his different experiences of becoming a largely marginalized person, of becoming someone with a worth different from others. The love story is heart wrenching; the level of repression is palpable. An exquisite novel featuring one of the most fascinating unreliable narrators in all of fiction. In post-war England, Stevens, an aging, old-school English butler who’s worked for decades at Darlington Hall, plans a car trip to visit the estate’s former housekeeper, Miss Kenton, in the west country. During the journey, he reflects on his long career, and we get a good sense of his life – inextricably linked to his long-time employer, Lord Darlington – and that of his country. Thanks to Downton Abb An exquisite novel featuring one of the most fascinating unreliable narrators in all of fiction. Thanks to Downton Abbey, I now know the difference between butlers, footmen and valets, so that came in handy. Unfortunately, I kept seeing Anthony Hopkins and Emma Thompson, who played Stevens and Miss Kenton in the acclaimed film adaptation, in my head. That’s not writer Kazuo Ishiguro’s fault, though. It’s also extremely funny. As the book opens in the mid-50s, Darlington Hall is owned by Mr. Farraday, an American businessman, and Stevens is stymied by the man’s habit of bantering. Ever the hard worker, Stevens attempts to improve his banter skills, resulting in at least one hilarious passage later on. In another section, a pompous upper-class guest of Lord Darlington asks Stevens to explain the birds and the bees to the man’s own son. Classic. The between-the-wars setting gives the book added heft, especially in Stevens’s devotion to Darlington, despite the employer’s questionable politics. The way Ishiguro shows Stevens defending the man is highly effective; Stevens tells us (and the world) one thing while we intuit something else. There are also a couple of scenes in which we feel genuine pity for Stevens. Both, tellingly, involve class. What gives the book its heart, though, is the changing relationship between Stevens and Miss Kenton. I don’t want to give anything away, but this is the kind of book that makes you think about what’s important in life: love and family or work. Sometimes providing consolation or showing affection – even though it might not be the most “professional” behaviour – can be life-altering. This review has been hidden because it contains spoilers. To view it, click here. Why did I wait so many years to read this book? It's beautiful. I loved it so much that I finished it in almost one sitting. I feel a bit like Mr. Stevens, sitting on the pier at the end of the story, wondering how his life could have been different. While Mr. Stevens is thinking of a lost love; I'm thinking of the bad books that could have been avoided if I had picked up Ishiguro instead. I'll keep the synopsis brief, since most of my GR friends have already read this. The story is told by Mr. S Why did I wait so many years to read this book? It's beautiful. I loved it so much that I finished it in almost one sitting. I feel a bit like Mr. Stevens, sitting on the pier at the end of the story, wondering how his life could have been different. While Mr. Stevens is thinking of a lost love; I'm thinking of the bad books that could have been avoided if I had picked up Ishiguro instead. I'll keep the synopsis brief, since most of my GR friends have already read this. The story is told by Mr. Stevens, a traditional English butler, who served under Lord Darlington for several decades. The narrative begins in 1956 with Stevens adjusting to a new master, who is an American gentleman. Stevens sets out on a car journey across England to meet with a former housekeeper, Miss Kenton. During the journey, Stevens reminisces about his pre-war experiences at Darlington Hall and his relationship with Miss Kenton. There are themes of dignity, the purpose of life, how time is spent, choosing work over love (or love over work), and what constitutes greatness. Everything is shared from Mr. Stevens' perspective, who relates his thoughts in a stream of consciousness, occasionally recounting conversations with others. Let me pause here to discuss a theory I have, which is that there are two kinds of readers: those who like stream-of-consciousness narrative and those who don't. I am firmly in the former camp, but I've heard several readers say they loathe SOC. The structure of "Remains of the Day" reminded me of another book that I loved: Virginia Woolf's "To the Lighthouse." Both involved SOC narration, both stories take place over only a few days, and both had themes of lost time. I liked the movie version of "Remains of the Day," but the text moved me even more. I desperately wanted to shake Mr. Stevens and try to get him to wake up to his present life, instead of being so consumed by his profession. Of course, Miss Kenton tries to do this several times — she brings him flowers, she teases him about a romance book he's reading, she tries to comfort him when his father dies — but Stevens is so obsessed with being dignified and restraining his emotions that he can't break free. "Lord Darlington wasn't a bad man. He wasn't a bad man at all. And at least he had the privilege of being able to say at the end of his life that he made his own mistakes. His lordship was a courageous man. He chose a certain path in life, it proved to be a misguided one, but there, he chose it, he can say that at least. As for myself, I cannot even claim that. You see, I trusted. I trusted in his lordship's wisdom. All those years I served him, I trusted I was doing something worthwhile. I can't even say I made my own mistakes. Really — one has to ask oneself — what dignity is there in that?" My dear Mr. Stevens, I shall remember your story and will keep it on my bookshelf. I'm sure our paths will cross again. The "Remains of the Day", is a 1989 novel by Nobel Prize-winning British writer, Kazuo Ishiguro. Don't let your principles steal your judgment, your feelings, your life! This novel - like all of Kazuo Ishiguro's work - has many quiet messages, and it can be read in many different ways. When I first read it, a long time ago, I thought it was a brilliant study of English customs and history before and during the Second World War, and I used to give it to friends and family as a reminder of how fascism can be supported and cultivated in an environment of duty and loyalty. During later readings Don't let your principles steal your judgment, your feelings, your life! This novel - like all of Kazuo Ishiguro's work - has many quiet messages, and it can be read in many different ways. When I first read it, a long time ago, I thought it was a brilliant study of English customs and history before and during the Second World War, and I used to give it to friends and family as a reminder of how fascism can be supported and cultivated in an environment of duty and loyalty. During later readings, I focused more on the personal sacrifice of the butler who renounces private happiness to prove to himself that he is the best of his profession - pride and prejudice thus winning over sense and sensibility. Now, putting the novel into the hands of my own children, encouraging them to read it as part of our Nobel Collection, I find myself saying that this novel proves the danger of loyalty and of being rigidly true to one's origins and early opinions. I find myself lecturing - this novel held up as an example - on the need for courage to CHANGE! My reading of this novel has definitely changed over time, but it remains one of my favourite books - partly just because it speaks to me in different ways as I grow older and as I change my approach to life and literature. As we can't stop time from changing the world we live in, we should learn from the new impulses we receive from current developments, listen to our hearts and speak up against evil, especially if it is on our own doorstep. To be able to recognise evil, though, we need to open our eyes to the wider perspectives offered by different life experiences and opinions, and that is what I would have wished for the old butler to do: see the world through a different prism in order to be able to judge it according to a more generous and open worldview. But it is a hard balance between keeping traditions one has learned to cherish and respect and at the same time letting the world in. - Whoever celebrates traditional Christmas in a big and diverse family knows what I am talking about! When I had merely read about 30 or so pages of this book, I must confess I was debating whether or not to continue with it, given the unbearably slow pacing of the plot. And then when I had finally reached the end, I couldn't help but feel immensely thankful to my own better judgement against giving it up. Since by that time I had been reduced to a pathetic, blubbering mass of emotions and tears, teetering on the verge of a major breakdown and marvelling at the writer's remarkable achievement at When I had merely read about 30 or so pages of this book, I must confess I was debating whether or not to continue with it, given the unbearably slow pacing of the plot. And then when I had finally reached the end, I couldn't help but feel immensely thankful to my own better judgement against giving it up. Since by that time I had been reduced to a pathetic, blubbering mass of emotions and tears, teetering on the verge of a major breakdown and marvelling at the writer's remarkable achievement at the same time. The Remains of the Day is Kazuo Ishiguro's ode to England - its bygone glories, numerous idiosyncrasies and fallacies. Through the life of Stevens, the protagonist and a quintessentially uptight English butler to a distinguished Lord, Ishiguro takes us on a journey of a nation through two wars which crippled it financially and relegated it to the sidelines of international politics as another nation slowly rose to take its place. However, it is not merely the tale of a tottering Britain but also a human drama centering around themes such as self-discovery, lasting regret, nostalgia, unfulfilled love and the enduring desire to start over anew. Stevens is not just a symbol of the inimitable sophistication that defines English culture but also an emblem of the undeniable hollowness of it. Of the unalterable mistakes committed in the course of a long and eventful journey - be it the journey of life of a man or one nation. Even though the verbosity of Ishiguro's prose may tend to make the narrative monotonous from time to time, it is never too big an impediment to navigate around. In fact it is the elegant language which catapults this novel into the league of classic English literature, in my opinion. Besides the unhurried, tender nuances of Ishiguro's story-telling do not deserve any less. Oh yes he most certainly deserved the Man Booker for this. And I think I will now commence the operation of procuring all of Ishiguro's published works. Mr James Stevens, an English butler setting out towards the west country, is the most wonderful man, one could possibly have an encounter with. His loyalty to the perished, service to the prominent and sense of dignity that elevates others' as well, command of utmost awe and regards. Mr Stevens, during a well earned motoring trip, here reflects upon several scattered events that forming a pattern, trace back to the past of his honorable service in House Darlington which stood formidably in the fa Mr James Stevens, an English butler setting out towards the west country, is the most wonderful man, one could possibly have an encounter with. His loyalty to the perished, service to the prominent and sense of dignity that elevates others' as well, command of utmost awe and regards. Mr Stevens, during a well earned motoring trip, here reflects upon several scattered events that forming a pattern, trace back to the past of his honorable service in House Darlington which stood formidably in the face of two world wars. Believing his service aided to the humanity itself, Mr Stevens always tried to do his job to the best of his ability and in return of such acquired professional excellence, he willigly sacrificed opportunities that brought often possibility of love and affection along. I wonder if I can ever want something as fervently as Mr Stevens does. I wonder if I ever can experience certainty in love. Winning the prestigious Man Booker prize, The Remains of the Day is one of the most highly regarded post-war British novels. Beautiful, heartbreaking book of understatement and about the price for following convention amd one's sense of duty over the desires (expressed or not) of one's heart. I have not seen the movie yet, but I have heard it captured the subdued tone and deeper philosophical questions posed by Isihiguro's choices in narration and subjects. This is a compelling portrait of the perfect English butler and of his fading, insular world in postwar England – At the end of his three decades of service in Darlington Hall, Stevens embarks on a vacation, driving in the country, hoping to reconnect with a woman with whom he had once worked, and with whom he felt some stifled form of intimacy. Over these few days, he looks back over his career to reassure himself that he has serv This is a compelling portrait of the perfect English butler and of his fading, insular world in postwar England – At the end of his three decades of service in Darlington Hall, Stevens embarks on a vacation, driving in the country, hoping to reconnect with a woman with whom he had once worked, and with whom he felt some stifled form of intimacy. Love is in the air--or maybe anxiously repressed--in February and my romantic literature jag continues with The Remains of the Day, the 1989 novel by Kazuo Ishiguro and winner of the Man Booker Prize for Fiction the same year. This is a magnificent novel, artfully focused in its portraiture of William Stevens, butler of the fictitious Darlington Hall near Oxford. On one level, Stevens' first person account of his service is rendered in beautifully crafted language, full of one Englishman's stoic Love is in the air--or maybe anxiously repressed--in February and my romantic literature jag continues with The Remains of the Day, the 1989 novel by Kazuo Ishiguro and winner of the Man Booker Prize for Fiction the same year. This is a magnificent novel, artfully focused in its portraiture of William Stevens, butler of the fictitious Darlington Hall near Oxford. On one level, Stevens' first person account of his service is rendered in beautifully crafted language, full of one Englishman's stoic appreciation for his own tireless dedication and emotional restraint. Buried deeper is the question of what constitutes a life well lived and whether or not Stevens has thrown his away by closing himself off to love with Darlington's former housekeeper, Miss Kenton. The story begins in the summer of 1956 at Darlington Hall with Stevens, getting along late in the autumn of his life, planning a journey. His new employer, an American known as Mr. Farraday, is returning to the States for five weeks and has generously offered Stevens use of his Ford to get away for a few days. Stevens doesn't take the offer very seriously. Conscious of several small errors on his part and the necessity for a revised staff plan, he hits on the idea of fulfilling his employer's wishes by traveling through the West Country to the seaside town of Weymouth, where the former housekeeper of Darlington Hall, Miss Kenton, has communicated some desire to Stevens to return. After vexation on how to accept his employer's offer, Stevens motors off to reunite with Miss Kenton, who resigned in 1936 to become Mrs. Benn. Leaving Darlington Hall empty for the first time in a century, Stevens' apprehension is soon replaced by excitement as landmarks familiar to him are left behind and he heads into the unknown. Stopping for the evening in Salisbury, Stevens reminisces on meeting Miss Kenton in the spring of 1922, when she arrived at Darlington Hall the same time Stevens also hired his father, William Stevens senior, to serve as under-butler. Stevens the younger and Miss Kenton soon clash over the treatment of Stevens the elder. "Yes, Miss Kenton, just a small matter. I happened to be walking past the kitchen yesterday when I heard you calling to someone named William." "Is that so, Mr. Stevens?" "Indeed, Miss Kenton. I did hear you call several times for 'William'. May I ask who it was you were addressing by that name?" "Why, Mr. Stevens, I should think I was addressing your father. There are no other Williams in this house, I take it." "It's an easy enough error to have made," I said with a small smile. "May I ask you in future, Miss Kenton, to address my father as 'Mr. Stevens'? If you are referring to him to a third party, then you may wish to call him 'Mr. Stevens senior' to distinguish him from myself. I'm most grateful, Miss Kenton." With that I turned back to my papers. But to my surprise, Miss Kenton did not take her leave. "Excuse me, Mr. Stevens," she said after a moment. "I am afraid I am not quite clear what you are saying. I have in the past been accustomed to addressing under-servants by their Christian names and saw no reason to do otherwise in this house." "A most understandable error, Miss Kenton. However, if you will consider the situation for a moment, you may come to see the inappropriateness of someone such as yourself talking 'down' to one such as my father." "I am still not clear at what you are getting at, Mr. Stevens. You say someone such as myself, but I am as far as I understand the housekeeper of the house, while your father is the under-butler." "He is of course in title the under-butler, as you say. But I am surprised your powers of observation have not already made it clear to you that he is in reality more than that. A great deal more." "No doubt I have been extremely unobservant, Mr. Stevens. I had only observed that your father was an able under-butler and addressed him accordingly. It must indeed have been most galling for him to be so addressed by one such as I." "Miss Kenton, it is clear from your tone you simply have not observed my father. If you had done so, the inappropriateness of someone your age and standing addressing him as 'William' should have been self-evident to you." "Mr. Stevens, I may not have been a housekeeper for long, but I would say that in the time I have been, my abilities have attracted some very generous remarks." "I do not doubt your competence for one moment, Miss Kenton. But a hundred things should have indicated to you that my father is a figure of unusual distinction from whom you may learn a wealth of things were you prepared to be more observant." "I am most indebted to you for your advice, Mr. Stevens. So do please tell me, just what marvellous things might I learn from observing your father?" "But we have already established, have we not, that I am particularly deficient in that respect." Mr. Stevens and Miss Kenton are employed by Lord Darlington, an honorable and well-meaning gentleman whose efforts to relieve Germany of what he considers undignified terms of the Treaty of Versailles culminates in a conference hosted at Darlington Hall in 1923. A veteran of the Great War, his lordship believes that he fought for justice, but the peace treaty negotiated in France has made a hypocrite of him. Miss Kenton attempts to warn Mr. Stevens that his father is no longer capable of carrying heavy trays or serving food, but is rebuked. When the under-butler collapses in front of his lordship, Mr. Stevens is handed the task of demoting his own father to a cleaning detail. Another task falling on Mr. Stevens comes from his lordship. The butler is awkwardly asked to debrief his employer's godson Reggie Cardinal of the facts of life. The lecture does not go as Stevens plans. A far greater health challenge is posed to Mr. Stevens at the summit of the conference when Mr. Stevens senior suffers a stroke. The butler must choose between attending to a French delegate suffering from foot pain or attending to his dying father. In spite of this, Mr. Stevens considers the conference the triumph of his career, confident that he served his employer with "a dignity keeping with his position" and played a small part in shaping the future of Europe. Stevens makes a stop in Dorset when the Ford's radiator runs dry and in Taunton, where the butler is chagrined to be in close proximity to the village of Mursden, where the finest silver polish known to professionals was once manufactured. Stevens makes serious attempts to engage innkeepers and locals in humor, having come to the conclusion that his American employer expects some banter, but the butler's attempts at witticisms fall flat. He conceals his past employment to Lord Darlington, who the British press hounded to his death as a Nazi sympathizer, while defending to the reader his lordship's honorable intentions. Stevens also grasps to define what makes a good butler. It is sometimes said that butlers only truly exist in England. Other countries, whatever title is actually used, have only manservants. I tend to believe this is true. Continentals are unable to be butlers because they are as a breed incapable of the emotional restraint which only the English race is capable of. Continentals--and by and large the Celts, as you will no doubt agree--are as a rule unable to control themselves in moments of strong emotion, and are thus unable to maintain a professional demeanor other than in the least challenging of situations. If I may return to my earlier metaphor--you will excuse my putting it so coarsely--they are like a man who will, at the slightest provocation, tear off his suit and his shirt and run about screaming. In a word, 'dignity' is beyond such persons. We English have an important advantage over foreigners in this respect and it is for this reason that when you think of a great butler, he is bound, almost by definition, to be an Englishman. It becomes clear in his remembrances that Mr. Stevens held great professional respect and some affection for Miss Kenton, whose attempts to decorate the butler's pantry with flowers or pry a book from his fingers or later, elicit some rise from the butler by sharing news of a proposal to an acquaintance she only comes to love after many years of marriage, are left unrequited. Stevens considers dignity keeping with one's position to be the legacy left to him and devotes all he has to his employers. Right or wrong, he comes to the conclusion that it is fruitless to dwell on the past, preferring to maintain a positive attitude and make the most of what remains of his day. Kazuo Ishiguro explores motifs I find particularly irresistible in The Remains of the Day. In addition to Stevens' dry and self-controlled command of English language, which was a pure delight for me to move my eyes across, the novel is set in a great house before the war and later, colorful English towns which Stevens stops over in. Much of the book deals with professionals at work, which I always find fascinating, and ultimately addresses what is or is not important in a life. The genius of the novel is how Ishiguro never answers that question, leaving the reader to decide whether Stevens' choices were right or wrong and whether he even believed he'd made the right choice. The novel is not the romance than I anticipated, but Ishiguro's dialogue is jeweled. I loved the way Miss Kenton fought for herself and I was devastated to see her strength erode due to her inability to break through to the man she loved. The novel was the basis of a classic film in 1993 produced by Ismail Merchant and directed by James Ivory. It featured Anthony Hopkins as Stevens, Emma Thompson as Miss Kenton, James Fox as Lord Darlington, Christopher Reeve as Mr. Lewis (a combination of Mr. Farraday and Senator Lewis from the book) and Hugh Grant as Reggie Cardinal. The film is a visual treat as well as a master class on performance by Hopkins & Thompson. This is not a review of the book as such - but a blog post I wrote in March 2015, when I suddenly felt the onset of age. I feel it can be an appropriate tribute to this wonderful novel. This year in August, I will turn fifty-two. For the past few years, thoughts of my eventual demise have been persistent at the back of my brain. It is not actually fear of death – it is more like the certainty of an unpleasant fact of life which cannot be avoided; something you would like to put off as much as po This is not a review of the book as such - but a blog post I wrote in March 2015, when I suddenly felt the onset of age. I feel it can be an appropriate tribute to this wonderful novel. Most mythologies of the world have tried to grapple with the grim fact of death – mostly by creating some kind of eternal realm where life never ends. The Levantine myths, with their linear concept of time, have created worlds where souls are rewarded or punished according to their behaviour on earth – for eternity. The Eastern myths (notably Hinduism) with their cyclical concept of time have life renewing itself continuously: for a Hindu, death is the merger of the individual soul (atman) with the universal soul (Brahman) until rebirth, until ultimate knowledge frees it from this cycle. It is only in Buddhism that annihilation of the soul is accounted for; but then, for the Buddha, the soul does not exist anyway. Ingmar Bergman says he made the movie The Seventh Seal to counteract a sudden fear of death which gripped him, and that the fear left him after he finished it. The symbolism in the movie, drawn heavily from the plague years, shows death in form of an unwelcome visitor – the grim reaper with his scythe. The iconic Malayalam writer M.T. Vasudevan Nair has called death a “jester with no sense of stage”. But what of the death that comes at the end as a welcome guest – a fitting finale to a life lived to the fullest? Should not be one prepared to meet it gracefully? The best is yet to be: here, the poet puts forth a startling theory – youth is made for old age! The carefree days of the morning of our life and the sweat and toil in the harsh noon are but preparations for a peaceful evening, when we can sit back on the easy chair with a drink at our elbow, contemplating the approaching night and eventual blissful sleep. Indian culture tells us that there are four parts to a man’s life: the four ashramas – Brahmacharya, Garhasthya, Vanaprastha and Sanyasa. In the first part, you spend your life as a student, concentrating only on the life of the intellect: in the second, you live as a householder, taking care of the family and bringing up the children: in the third, children all grown up and all responsibilities discharged, you leave for the forest for a life of contemplation: and in the last, you become a virtual ascetic in preparation for death. I don’t know how implementable these are in the modern world, but I think this model is much more peace-enabling than the current one, where we keep on working till we drop dead. I realise that I am now in the afternoon of my life. My son is in the ninth grade: in seven to eight years, he will develop his own wings and fly away to his own future. My time for Vanaprastha is approaching. Even though I do not plan to physically move away to the forest, for all practical purposes, I shall withdraw from social life to one of reading and contemplation. Because evening is the best part of the day: I want to put my feet up and relax. I know that introduction is a must, polite even, but on this one I do suggest that we skip that. It is you who matters, and no one else. Ah, yes, I did read your travelogue and musings. I am quite taken by them. It’s very difficult not to be. Although, I did notice that you often answer your own questions. I boldly assume that those are signs not of confusion but of hesitation to acknowledge the truth. It was a bit alarming -hesitation and an advancing age. Don’t make a good match, do they? It was not difficult, as well, to notice the ever present topic of greatness and dignity throughout your entries. It is apparent that justification is what you seek. Then, yes James, you are a great and dignified butler. But does that account to all the mistakes you’ve made? No, of course not, old chap. Your dignity lies in your ability not to abandon your professional being (as a butler) during trying times. Always the epitome of restraint, calmness, and placidness. Thus by achieving your goal of greatness, and by withholding your inner feelings and belief, you have forgone a most vital aspect of life –relationships. For you see, dignity and greatness will lose its luster and usefulness, like your father before you. Great butlers will come and go, but a good friend, husband, or father will be cherished for all time. Set at a time in England's history where everything is rapidly changing, and following the life of the butler who witnesses it all, The Remains of the Day is a vivid and very impressive historical novel. I was honestly surprised by how good it was. It looked very short, almost novella-sized, but the way it captures a fading postwar era is absolutely incredible, and the characters really feel real. I loved it and I'm looking for the film on VHS (good luck, right?) which if I remember correctly stars Anthony Hopkins. Πραγματικά θαυμάζω το μοναδικό ταλέντο και την ικανότητα ορισμένων ανθρώπων, να παίρνουν ένα απλό και φαινομενικά βαρετό θέμα - αλήθεια τι πιο βαρετό από τις αναμνήσεις ενός Βρετανού μπάτλερ?!? - και να δημιουργούν κάτι τόσο συναρπαστικό και καθηλωτικό. Γράφουν οι άλλοι για δράκους, για μάγους και για ανθρώπους που κουνάνε τη γη με τη δύναμη του μυαλού τους, αλλά δεν μπορούν να φτάσουν ούτε στο ελάχιστο τις συγκινήσεις που προσφέρει ο χαρακτήρας του κυρίου Στίβενς μέσα από την μαγική πένα του Ισι Πραγματικά θαυμάζω το μοναδικό ταλέντο και την ικανότητα ορισμένων ανθρώπων, να παίρνουν ένα απλό και φαινομενικά βαρετό θέμα - αλήθεια τι πιο βαρετό από τις αναμνήσεις ενός Βρετανού μπάτλερ?!? - και να δημιουργούν κάτι τόσο συναρπαστικό και καθηλωτικό. Γράφουν οι άλλοι για δράκους, για μάγους και για ανθρώπους που κουνάνε τη γη με τη δύναμη του μυαλού τους, αλλά δεν μπορούν να φτάσουν ούτε στο ελάχιστο τις συγκινήσεις που προσφέρει ο χαρακτήρας του κυρίου Στίβενς μέσα από την μαγική πένα του Ισιγκούρο. Τα απομεινάρια μιας μέρας είναι το αριστούργημα που έψαχνα για το ξεκίνημα του 2019. It is my hope that this missive finds you in good stead and lodgings befitting a person who has displayed nothing but the utmost professionalism throughout their career. I have, after a considerable period of deliberation, undertaken the not-insignificant task of recommending a novel to your noble personage. If you will permit me a brief tangent on the topic of the novel itself, I believe you will find yourself in the position to do nothing short of reading the pages in question. It has been my fortunate experience to have read many terrific novels over the course of my life. Some of the finest of those have found relatable leads in situations with which I can empathize. 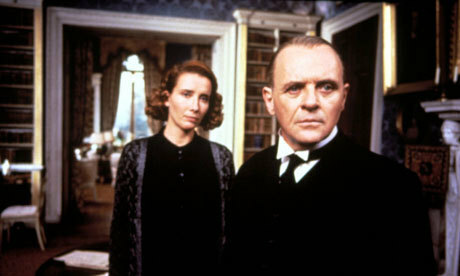 Mr. Ishiguro has penned just such a novel with his revelatory volume, The Remains of the Day. Indeed, Mr. Stevens' engrossing account of his service to Lord Darlington touches upon the very fabric of service that binds together the working class. I was able to appreciate a kindred spirit in Stevens, who so often has to place his personal desire to the side for sake of his duty. However, it is the spirit in which Mr. Stevens writes that so beautifully conveys his plight. Mr. Stevens' dutiful nature, professional ideals, and rigorous self-discipline often deter him from engaging in meaningful social interactions. The very format of his account is one that unrolls his career in an almost academic manner, betraying very little with respect to his emotions. Yet, there are telltale signs that Mr. Stevens is not at all the brick wall he purports to be. I'm at a loss for words, but I know this would be going to my all time favourites. A masterpiece. یه استاد شیمیفیزیک داشتیم ایدهآلش این بود که از ما دانشجوهاش قهرمان هستهای بسازه. در همین راستا کلاساش رو مثل یک پادگان اداره می کرد. اگر فیلم غلاف تمام فلزی رو دیده باشید حتماً اون گروهبانه رو به خاطر میارید که بالای سر سربازها میایستاد و قوانین رو با داد و فریاد کشیدن بهشون دیکته می کرد. این استاد ما هم علاوه بر سخت گیری روی درس، می خواست قوانین زندگی ایدهآل رو هم در قالب چند جملهی تلقینیتأکیدی به ما بیاموزه... یکی از اون جملههاش که مناسب حال مرور این کتابه این بود: "به خودت بگو اگه سنگ هم از یه استاد شیمی‌فیزیک داشتیم ایده‌آلش این بود که از ما دانشجوهاش قهرمان هسته‌ای بسازه. در همین راستا کلاس‌اش رو مثل یک پادگان اداره می کرد. اگر فیلم غلاف تمام فلزی رو دیده باشید حتماً اون گروهبانه رو به خاطر میارید که بالای سر سربازها می‌ایستاد و قوانین رو با داد و فریاد کشیدن بهشون دیکته می کرد. این استاد ما هم علاوه بر سخت گیری روی درس، می خواست قوانین زندگی ایده‌آل رو هم در قالب چند جمله‌ی تلقینی‌تأکیدی به ما بیاموزه... یکی از اون جمله‌هاش که مناسب حال مرور این کتابه این بود: "به خودت بگو اگه سنگ هم از آسمون بباره من این کار رو انجام میدم." و من هم از اونجایی که همیشه در زندگی سعی کرده‌م پسر خوبی باشم، این نصیحت استاد رو آویزه‌ی گوشم کردم بلکه بتونم از خودم یه قهرمان بسازم... حالا که چند سال از اون روزها میگذره، می‌بینم اون عبارات تأکیدی، از من آدمی ساخته که به راحتی می تونه با یه پیشخدمت «متشخّص» بریتانیایی، خودش رو همسنگ بدونه. احساس می کنم در تمام این سالها پیشخدمت خوبی بوده‌م و این بِهِم احساس آرامش میده و اتفاقاً برای همینه که اینقدر از این کتاب خوشم آمد و داستان خودم رو اول آوردم. این از نظرم درباره ی داستان. درباره‌ی ترجمه: تاجایی که یادمه این اولین ترجمه ای هست که از نجف دریابندری خوندم. دریابندری خودش رو توی دلم جا کرد. مثل محمد قاضی. دریابندری جعبه ابزار ترجمه اش کاملِ کامله. برای یک مترجمِ خوب بودن، اگه به زبان خارجی مسلط نباشی اشکال نداره اما اگه به زبان خودت مسلط نباشی بَده. و باید بری یه شغل دیگه غیر از مترجمی پیدا کنی. وقتی نتونی جوری حرف بزنی که همزبون‌هات حرفت رو بفهمن، تسلط به زبان بیگانه چه فایده ای داره؟ نجف دریا بندری نه تنها جوری ترجمه می‌کنه که می‌فهمیم، بلکه جذب حرفاش هم میشیم و البته واژه‌های درست رو هم در خلال متن داستان بهمون یاد میده. از رمان و مترجم گفتم، جا داره یادی هم از نشر کارنامه بکنیم که با این قیمت‌هایی که روی کتاباش میذاره آدم فکر می‌کنه یک شیء نفیس خریداری کرده نه یک کتاب. کتاب هایی با ظواهر زیبا و کاغذهای مرغوب اما چاپ های نازیبا که خیلی توی ذوق میزنه. امیدوارم صِدام یه روزی به گوششون برسه.